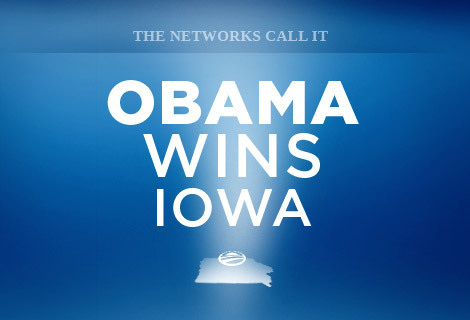 Barack Obama declared winner of Iowa caucuses. Will African-Americans have the Audacity of Hope for a Black President? The quote above is not direct, but it was relayed by CNN correspondent Suzanne Malveaux from the campaign trail. On the same set, Donna Brazile said “African-Americans have always lifted up Democrats, now Democrats have a chance to lift up African-Americans. Barack Obama gained a victory in a rural state that is 97% white. CNN declared a victory for Obama around 8:30 p.m. on Thursday night. The questions now is will black folks get behind Obama? I think there are four reasons why African-Americans are reluctant to support Senator Obama’s candidacy. 1. They are afraid of supporting a loser. 2. Supporting a white candidate shows open mindedness. 3. Don’t believe that America will elect a black President. 4. They actually like another candidate better. Everyone will claim #4, but I think that it’s just a convenient excuse. The title of Obama’s book The Audacity of Hope is applicable for African-Americans in this situation. I think for 400 years we have hoped, but with each setback that hope has been eroded. Yet the people of Iowa have had the audacity to support Barack Obama (and Mike Huckabee). And this was not a nail biter. In the end, his 38/30/29 victory is quite significant statistically. Young people overwhelmingly support Obama, and I haven’t seen the numbers, but my guess is he’s doing well with young black folks as well. There is less difference between older blacks and whites than any would ever believe or admit to. Many of our elders are just as reluctant to change as their white counterparts. They are reluctant to groom young successors, whether it be on the city council, in the pulpit, or on the job. There’s a feeling that the junior senator from Illinois has not been groomed, has not paid his dues, has not earned their support. I’m hopeful that attitude will change, but I may be asking a lot. Obama’s campaign has broad appeal. He knows he can win without the full support of Black America, but would rather not have to find out. I have the audacity to hope; to hope that a man with the poise, the message, the intellect, and the organization can gain the nomination of one of America’s two major parties. Our forefathers had that audacity, I hope more of us will have that same audacity today. Inspired by the 14 year old genius of James Farmer, Jr. and Martin Luther King Jr.